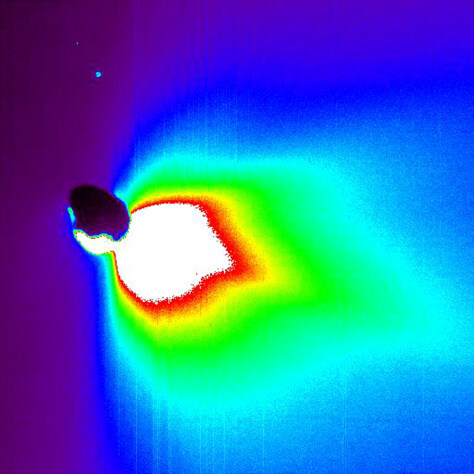 This false-color image shows Comet Tempel 1 about 50 minutes after Deep Impact's probe smashed into its surface. The comet itself is a backlit black blob. The colors represent brightness, with white indicating the brightest materials and black showing the faintest materials. This brightness is a measure of reflected sunlight. The sun is to the right, outside the image frame. The light spot above the comet is a star.